In which we showcase the cover of a new middle grade novel from R.J. Anderson. 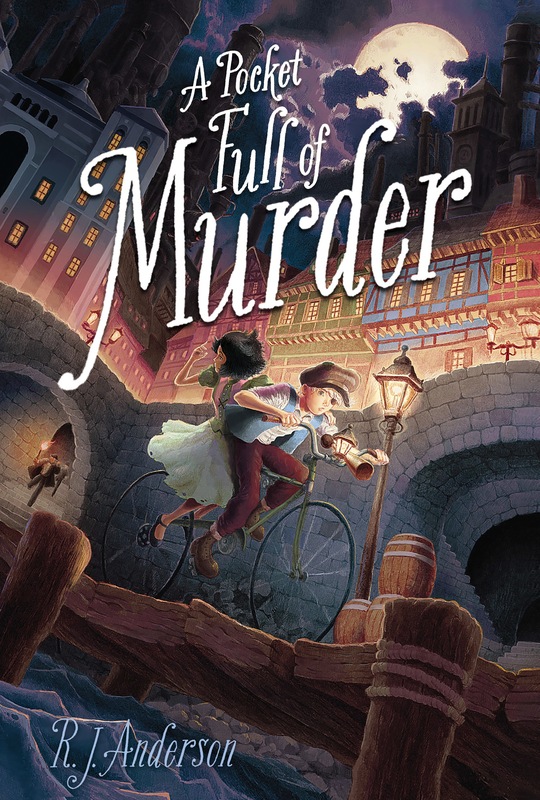 Today we are thrilled to unveil the cover and synopsis of R.J. Anderson’s new novel – middle grade fantastical mystery, A Pocket Full of Murder! We had the pleasure of meeting R.J. Anderson in person last year at the INSPIRE! Toronto Book Fair, and got an account of A Pocket Full of Murder firsthand. Naturally, we were thrilled to host this reveal. Isaveth had only one hope left, and that was to escape. She thrust a shaking hand into her basket, pulled out a light-tablet, and crushed it in front of Loyal’s face. “Aaawww!” Loyal reeled back, shielding his eyes. The bag dropped to the dirt, and Isaveth snatched it up and ran. Isaveth twisted to see who had spoken — and stopped struggling, blank with astonishment. Someone had been following her after all. It was the boy with the eyepatch. Isaveth is determined to prove his innocence. Quiz, the eccentric eyepatch-wearing street boy who befriends her, swears he can’t resist a good mystery. Together they set out to solve the magical murder of one of Tarreton’s most influential citizens and save Isaveth’s beloved Papa from execution. But each clue is more perplexing than the next. Was the victim truly killed by Common Magic—the kind of crude, cheap spell that only an unschooled magician would use—or was his death merely arranged to appear that way? And is Quiz truly helping her out of friendship, or does he have hidden motives of his own? Isaveth must figure out who she can trust if she’s to have any hope of proving her Papa’s innocence in time. 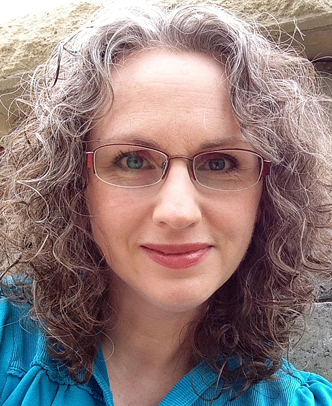 . .
R.J. (Rebecca) Anderson is the author of several acclaimed books, including the teen thriller Ultraviolet, which was shortlisted for the Andre Norton Award for Young Adult Science Fiction and Fantasy, and the UK-bestselling Knifewww.rj-anderson.com. I AM SO EXCITED FOR THIS BOOK! And the cover is amazing.